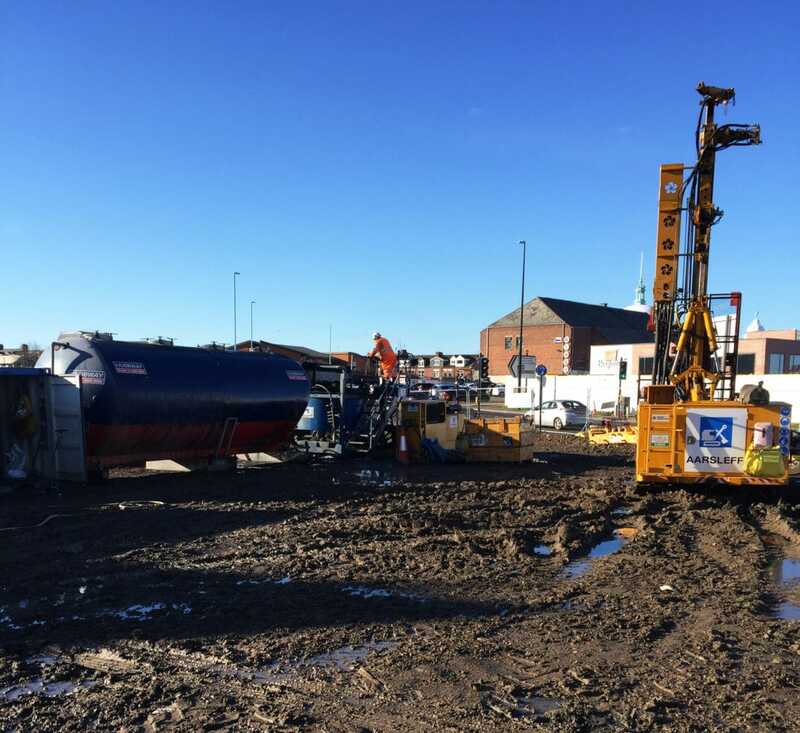 Aarsleff has the specialist plant and labour to carry out all types of drilling and grouting works from the filling of redundant coal mines and soil mixing to stabilisation of soil and compaction grouting. Shallow voids pose a risk to surface buildings and sub-surface infrastructure because collapse of the ground overlying the voids can result in voids migrating to the surface, leading to crown-hole development. 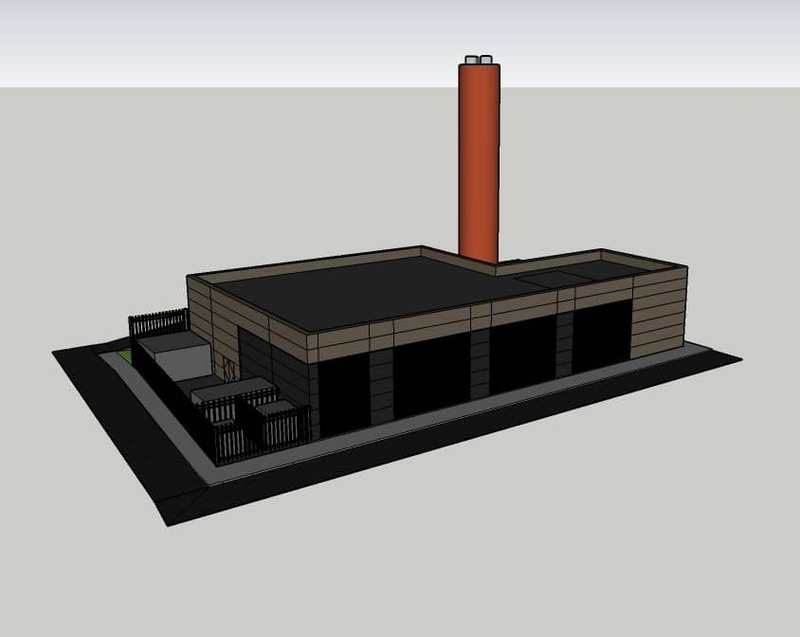 This poses a risk to both foundations, structures themselves, and below-ground infrastructure. One option for remediation is bulk filling of these voids by drilling and grouting. Holes for drilling and grouting are generally spaced on a square grid. The drilling process involves rotary percussive rigs, firstly installing casing seated into rockhead, then drilling to 1m below the base of the seam. Commencing at the lowest dip side, grout is injected through a flexible tube called a tremie from the base of the drilling hole to the surface. 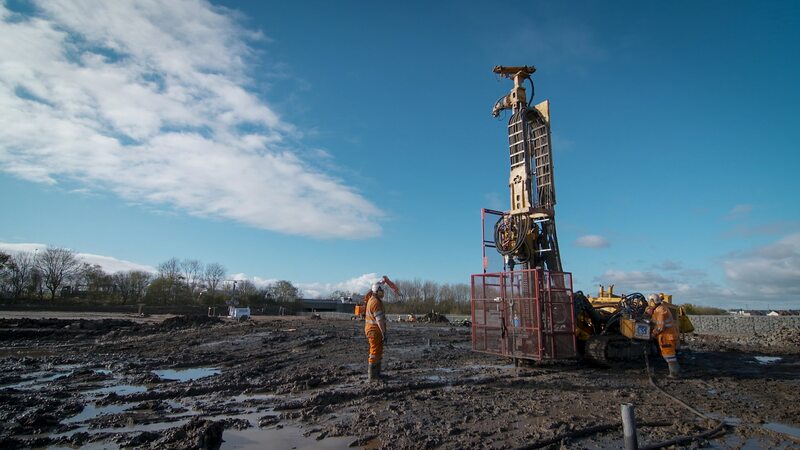 As an official member of the British Drilling Association, Aarsleff Ground Engineering has the specialist plant and people to carry out all types of drilling and grouting works. The technique can be used for the consolidation of abandoned mines and soil mixing to stabilisation of soil and compaction grouting. We can also treat mine shafts up to 75-100m deep including filling open shafts with granular material, stage grouting, grout caps and reinforced concrete caps. Aarsleff can perform drilling and grouting in limited working space, with the ability to manoeuvre and grout around structures to consolidate soil, particularly beneficial for existing commercial or residential areas or to prevent against collapse of redundant voids associated with mine working tunnels, sewers, sinkholes and culverts. 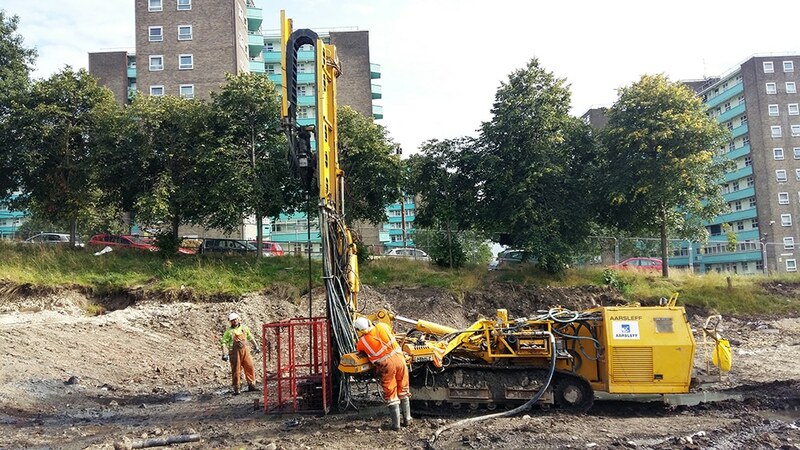 Comprehensive rotary drilling site investigation services. Stabilisation of shallow mine workings. 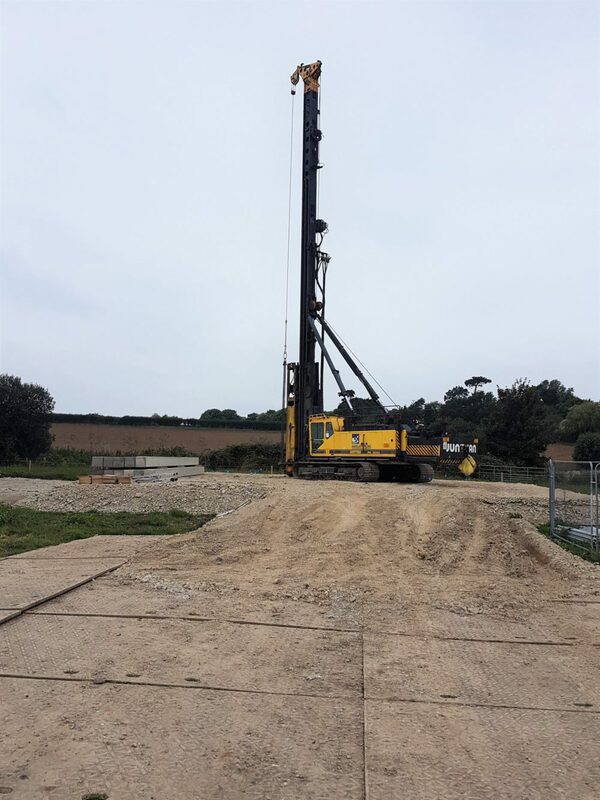 Borehole drilling for ground-source heat pumps.